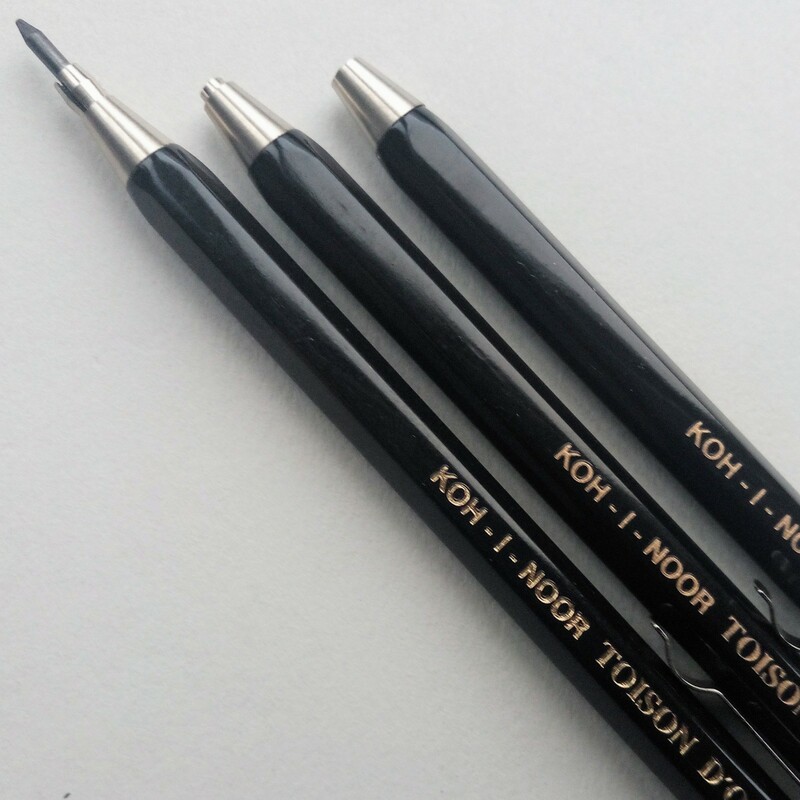 Mechanical clutch pencil for 2.0mm lead with a handy clip and a sharpener built into the end. Great for bigger hands! Lead refills available.